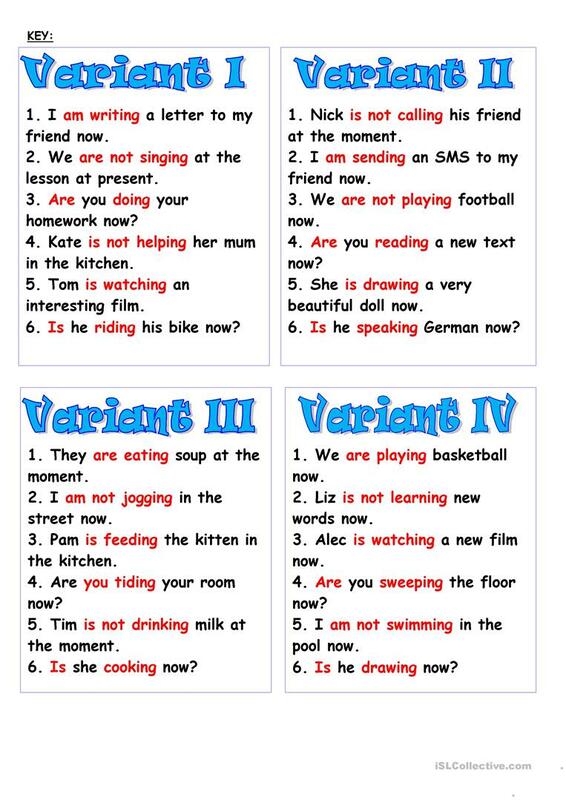 Four variants of the test for quick checking the use of the Present Cntinuous Tense. Key is included. Thank you!!!! The present downloadable teaching material is best suited for high school students, elementary school students and adults at Elementary (A1), Pre-intermediate (A2), Intermediate (B1) and Upper-intermediate (B2) level. 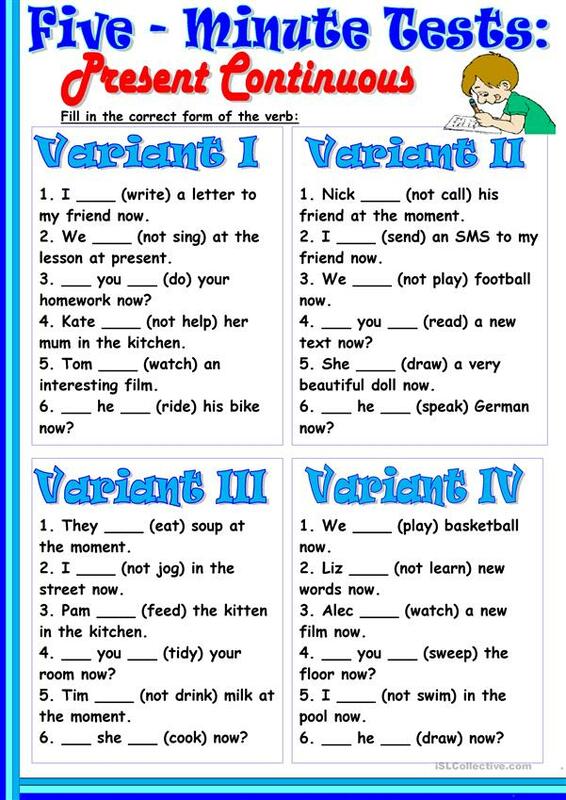 It is valuable for teaching Present continuous (progressive) tense in English, and is useful for strengthening your students' Speaking and Reading skills. You will find the solution at the end of the worksheet.